• Earning Commended status (the highest of all school classification ratings), for five of the last six years. • Designing authentic student projects that address rigorous academic standards and authentic community issues. • Growing the largest school garden in the state, one that includes chickens, goats, pollinator gardens, a lavender labyrinth, raised beds for vegetable production and more. We built a living laboratory to understand and construct solutions to community issues using science, technology, engineering, the arts and mathematics (STEAM) methodologies. Most recently, with the blessing of the Rhode Island Historical Preservation & Heritage Commission, we began the process of transforming the long-forgotten seed barn on our campus into a beautiful 21st century middle school learning space. Not only will we reuse the existing structure, we will harness the latest green technologies, including rainwater harvesting and solar panels. We will use our new school as a tool to educate our students and visitors about these sustainable practices. Compass teamed up with our venture partner Main Street Resources, the same organization that just launched the Rhode Island Food Center at the University of Rhode Island. After Main Street Resources introduced Compass to Newman’s Own Foundation, these nationally recognized foundations committed $45,000 to The Compass School’s farm and outreach efforts. Skeptics doubt that districts will be interested in charter-district collaboration, but we have data that refutes this assertion. Twenty-three Rhode Island schools passionately responded to the opportunity to partner with Compass on this project. This indicates that there is not only interest from district schools but a bona fide demand for cross-sector collaboration. Mr. Ricci’s call for change speaks to finances and ignores the efforts to improve the education system as a whole. Compass has partnered with major foundations to enrich other Rhode Island schools with our best practices. As we continue the school choice conversation, let us remember to shine a positive light on the significant contributions from the charter sector. 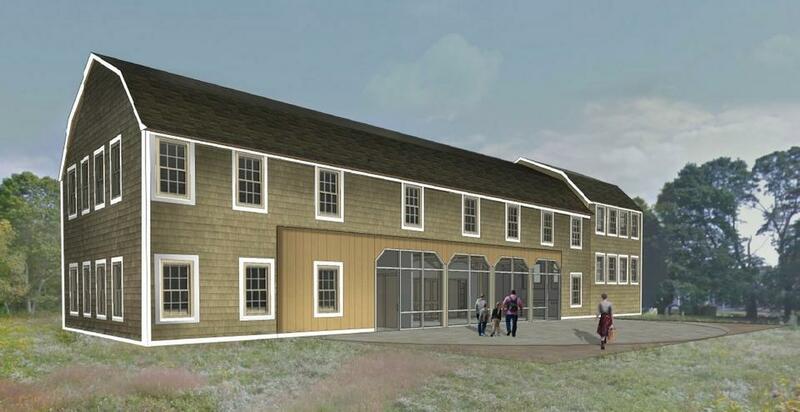 To learn more about The Compass School’s farm, barn renovation plans or admissions application, please visit our website: www.compassschool.org. Brandee Lapisky is the director of The Compass School, a public K-8 charter. She is also a board member of the Rhode Island League of Charter Schools.